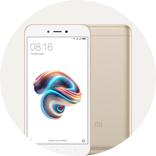 [Announcements] Redmi 5A Section: Rules & Regulations: Please Read Before Posting! [Q&A] Why it cannot change my region other than China? [Q&A] ano pong kelangan gawin dito para gumana? [Q&A] biglang nag tturned off tong cp ko kapag nakalock na. bakit po kaya ganito? [Q&A] Why my redmi5 turns off automatically when not using it? [Announcements] [NEW] Xiaomi Flashing Tool Miflash v2018.5.28.0 portable Released! Download It Here! [Q&A] Can the store from the Philippines replace screen? [Q&A] Paano malaman kung Original ang Earphone ng Xiaomi? [Q&A] Hello po. Paano po ifix yung wifi settings stopping tsaka mi account stopping? [Q&A] Any positive or negative feedback to MIUI v10.0.4.0 for pocophone f1? [Q&A] Why does my videos get stretched?? [Other] Believe that you can achieved.